Manakari, V.; Parande, G.; Gupta, M. Selective Laser Melting of Magnesium and Magnesium Alloy Powders: A Review. Metals 2017, 7, 2. 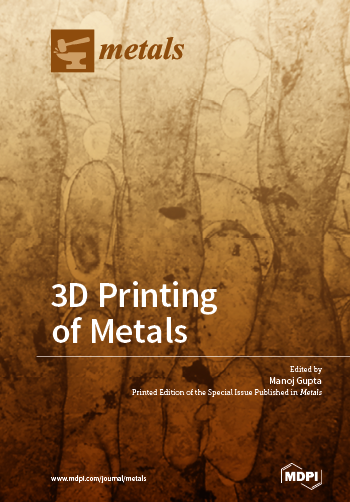 Manakari V, Parande G, Gupta M. Selective Laser Melting of Magnesium and Magnesium Alloy Powders: A Review. Metals. 2017; 7(1):2. Manakari, Vyasaraj; Parande, Gururaj; Gupta, Manoj. 2017. "Selective Laser Melting of Magnesium and Magnesium Alloy Powders: A Review." Metals 7, no. 1: 2.